At every step of the Custom Jewelry Design, or Redesign, processes we encourage the client to express their opinions and be involved. We want each design to reflect the clients own personal style and taste and for every client to feel that the final Custom Jewelry Design is beyond their expectation. The Jewelry Design stages that you can expect to experience when we design a new jewelry piece are outlined below. This is where the Magic begins! 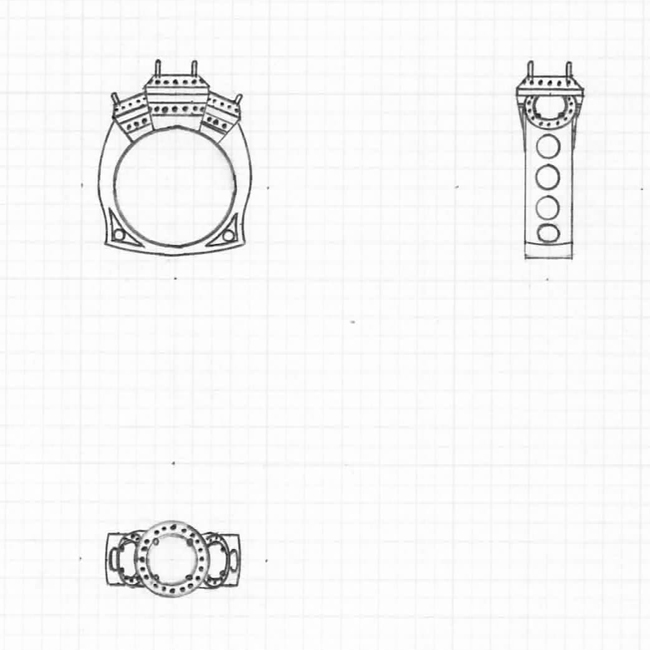 After talking with the customer to gain an understanding of what their tastes and lifestyles are like and what they are looking for in their jewelry piece, we prepare a simple counter sketch of the jewelry design. This is presented to the customer for initial approval. 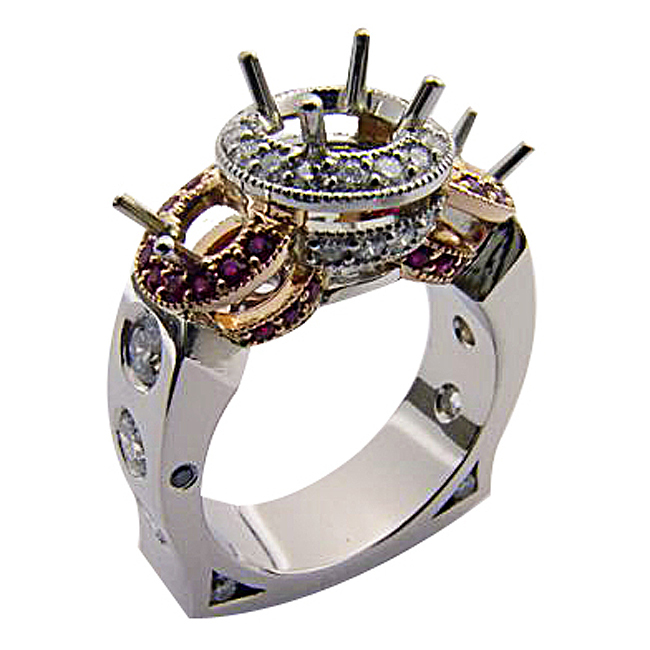 Precision jewelry design... computer aided jewelry design technology (CAD) After the counter sketch jewelry design is approved by the customer, the jewelry design is rendered in Computer Aided Design software (CAD). 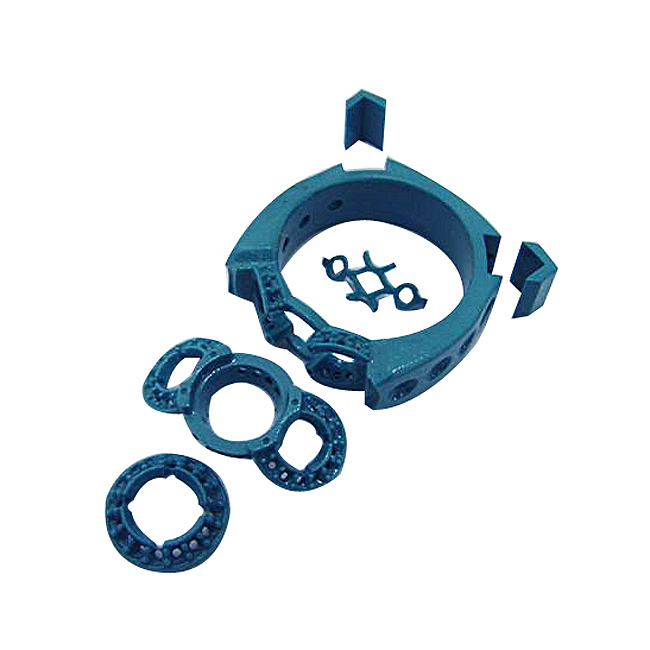 This computer aided jewelry design technology produces a precision three-dimensional model of the new design. 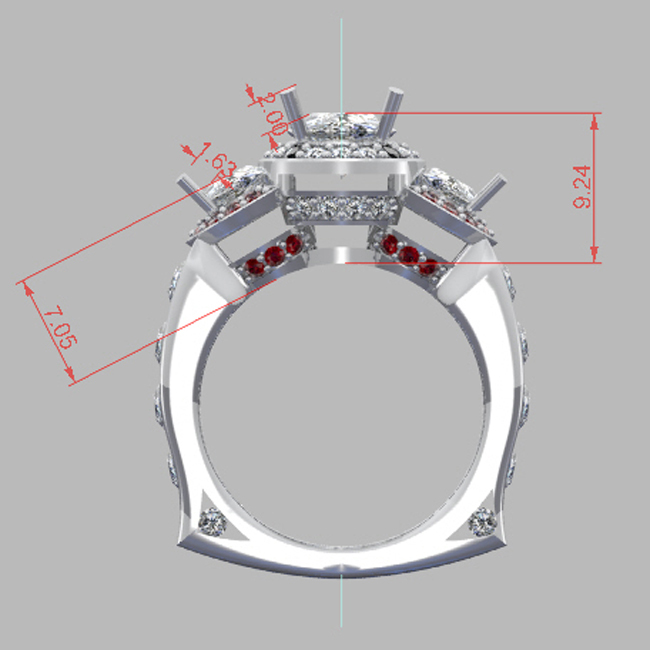 The precision CAD rendering is used to produce a hard-wax model of the jewelry piece with exact measurements. 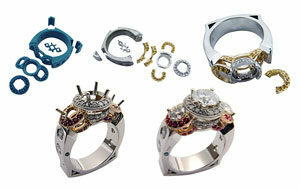 This model is viewed by the customer for final approval of the jewelry design. Only then do we proceed to the casting of precious metals. 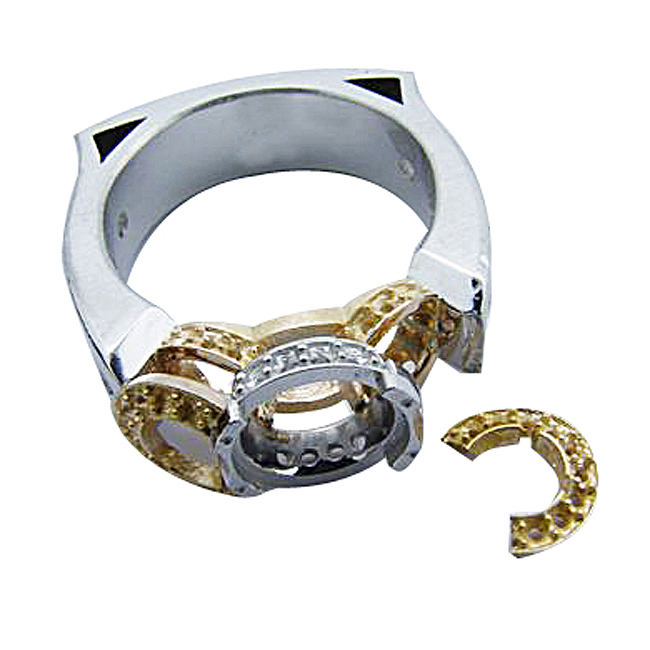 Once the hard-wax model is approved by the customer, it is used to cast the metal components of the ring. The metals used are typically 14kt gold, 18kt gold or platinum. The metal castings are filed and finished to remove rough edges and sides. Then the fabrication begins with the joining of the component metal pieces. 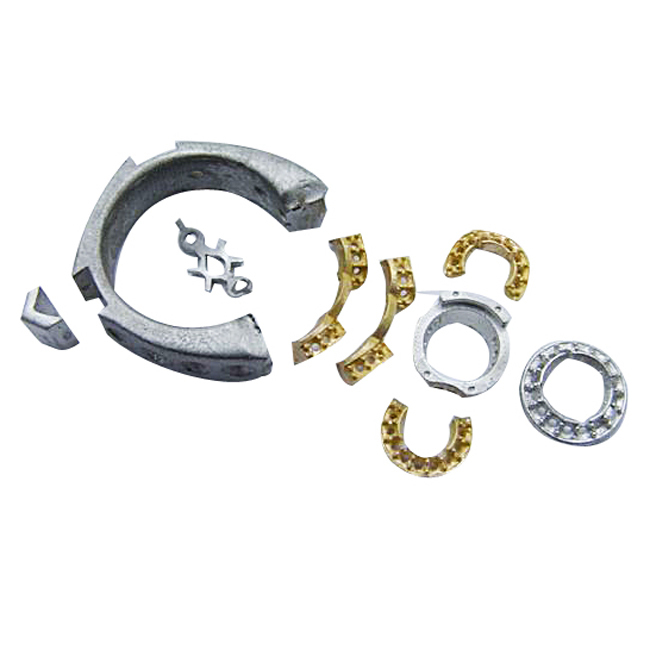 Fabrication of the new piece proceeds with the hand fabrication of prongs for the setting of precious stones and diamonds and their final incorporation into the jewelry piece. The final finished jewelry piece is ready to present to the customer. 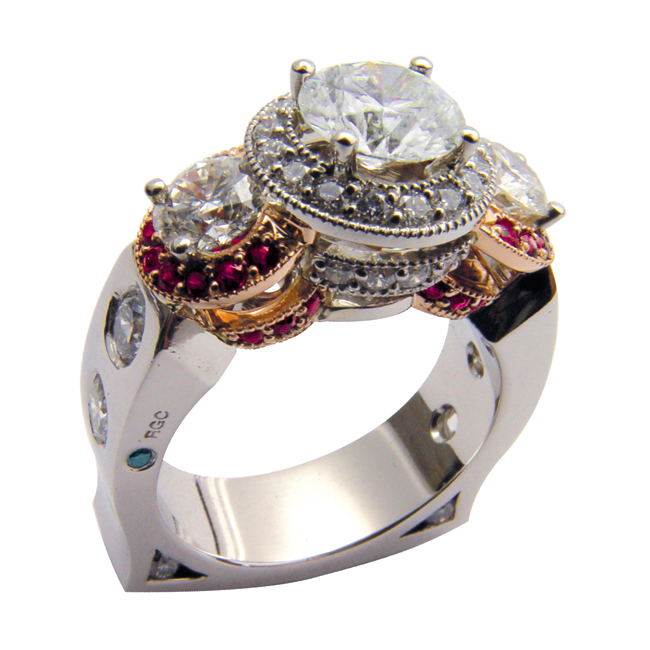 In our example, a stunning platinum & 18kt rose gold three stone round brilliant diamond ring with diamond cut rubies. This ring is part of Rock N Gold Creations' "Signature Blue Diamond" collection.